As we head into winter and the coughing, sniffling, and sneezing begins, you might find yourself visiting your doctor to get a prescription for antibiotics, or even reaching for last year’s leftovers. You certainly wouldn’t be alone, right now antibiotics are one of the most commonly prescribed drugs in the United States. According to a 2014 report published in BMC Medicine, broad-spectrum antibiotic prescription use has doubled from 2000 to 2010.1 The report goes on to say that nearly 50 percent of antibiotics prescribed for home use are unnecessary. Antibiotics are being commonly prescribed for conditions that aren’t even associated with a bacterial infection – like the common cold and flu, which are caused by viruses. On top of that, the animals we eat, unless certified organic, are typically given courses of antibiotics as well, to prevent disease in their crowded and dirty living conditions and to stimulate their growth. So what’s the harm in overexposing ourselves to antibiotics, aren’t we “better safe than sorry”? The answer is no, taking unnecessary antibiotics can actually do more harm than good. While antibiotics have saved millions of lives over the years, the excessive use and over-prescribing of these medications are wreaking havoc on your health because of their impact on your gut. 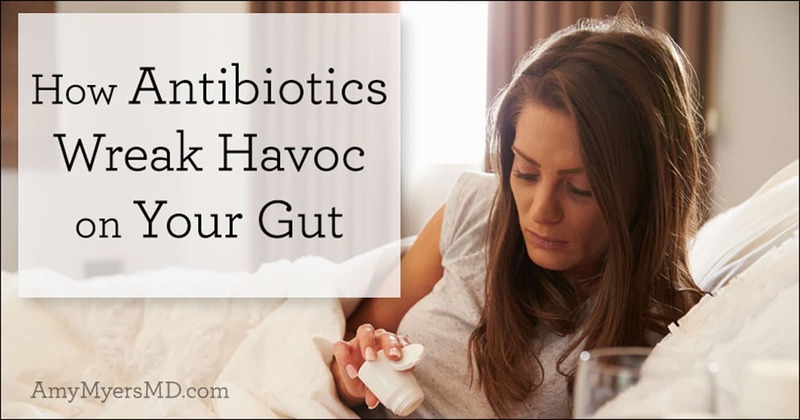 In this article I’ll explain how antibiotics disrupt your gut microbiome, how that disruption affects your overall health, and how you can restore your gut’s balance if you do have to take antibiotics. Your gut is its own ecosystem, providing a home to 100 trillion microorganisms, including 400 different species of bacteria. These microbes in your gut play crucial roles in digestion, immunity, metabolism, and mental health. Sixty to eighty percent of your immune system is located in your gut and ninety percent of your neurotransmitters – the chemical messengers that help regulate mood – are produced in your gut. In fact, the gut is often nicknamed the second brain because of how significantly it can affect your mood and mental state. Maintaining the proper balance of bacteria and other microorganisms in your gut is crucial, not just to your digestion, but to your overall health and wellbeing. Antibiotics work by blocking vital processes in bacteria that either kill the bacteria or stop them from multiplying. Unfortunately, antibiotics cannot differentiate between the “bad” bacteria that may be causing a bacterial infection and the “good” bacteria that belong in your gut. Instead, antibiotics come through like a tsunami, destroying everything in their path. When antibiotics kill the bacteria that belong in your gut, it disrupts the delicate ecosystem, creating a state of dysbiosis – or bacterial imbalance. When the number of good bacteria in your gut falls, it leaves you susceptible to the overgrowth of other organisms, like yeast, frequently referred to as Candida, because Candida Albicans is the most common strain of yeast. Yeast is opportunistic, which means that when given the chance, it will grow and multiply, especially when given its favorite food source – sugar. When yeast starts to multiply, it can damage the lining of your intestinal walls, leading to what’s known as leaky gut. Technically, everything that’s in your small intestine is still considered to be outside of your body. It’s not until substances pass through the intestinal lining that they become a part of your bloodstream. A healthy small intestine keeps toxins and undigested food material out, while a small intestine that has become “leaky” allows microbes, toxins, partially digested food, and other particles to pass through. When foreign substances make it into your bloodstream, your immune system flags them as invaders and begins to attack. 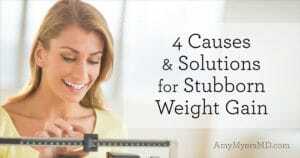 Over time, this causes your immune system, liver, and lymphatic system to become overwhelmed and overworked. When the immune system can no longer keep up with this demand, your immune response goes haywire, and you can develop autoimmune disease. 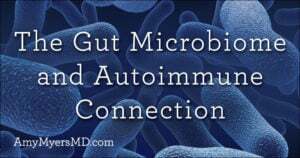 This is why “Heal Your Gut” is the first pillar of The Myers Way® and is the first step towards preventing and reversing disease. If you do need to take antibiotics, there are a few simple steps you can take to protect your gut. Probiotics will help restore your gut’s population of good bacteria that may be killed by the antibiotics, in order to maintain a healthy gut and immune system. My 100 Billion Probiotic is perfect for this. Or, if you’re taking the 30 Billion Probiotic you can double your dose while taking antibiotics. You’ll want to make sure you’re taking your antibiotics 2 hours away from your probiotic so that the aren’t killing the colony forming units. The villi of your small intestine, which is where you absorb your nutrients, are made of collagen, so taking collagen will help repair your gut lining and ward off leaky gut. Leaky Gut Revive™ helps your gut cells repair and rejuvenate even faster, so I like to use the two hand-in-hand while taking antibiotics. What if you have taken antibiotics in the past that have disrupted your gut? Luckily, there are things you can do to help protect your gut and keep the bacteria in balance, using Functional Medicine’s 4R approach. Antibiotics, as well as a diet high in sugar, refined carbohydrates, and alcohol are key risk factors for developing yeast overgrowth. If you think you may have Candida overgrowth, take this quiz to find out. To get your yeast population back under control, you’ll need to follow a low-carbohydrate diet to starve the yeast, and take anti-fungal supplements to kill it. 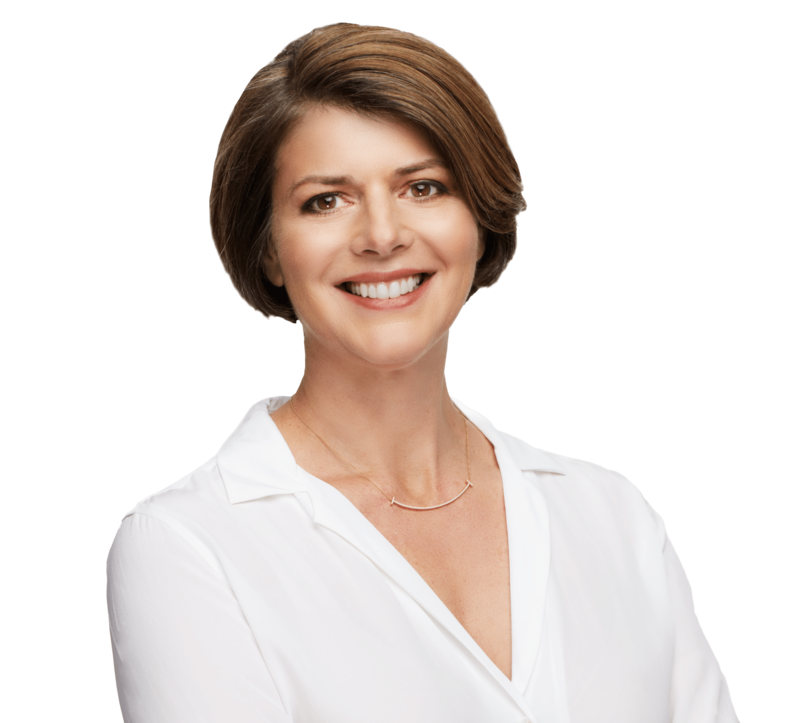 I offer a complete Candida Control program including meal plans, recipes, shopping lists, and supplements to help you beat yeast overgrowth in 30 days. Add back in the essential ingredients for proper digestion and absorption that may have been depleted by your antibiotics. Including digestive enzymes is a key component of this step, because they help you digest your food properly, reducing the strain on your digestive system and ensuring that you receive the full nutritional benefit of the foods you eat. Probiotics are live bacteria strains that help repopulate the gut and restore bacterial balance. I recommend taking a highly concentrated, multi-strain probiotic to make sure your gut’s microbiome has adequate diversity. If you do not have Candida overgrowth, you can add fermented foods like kimchi, sauerkraut, and kombucha into your diet to naturally boost diversity in your gut flora. If you do have yeast overgrowth, I recommend treating that first before adding in fermented foods, as they can feed the yeast as well as the good bacteria. Prebiotics come in the form of soluble fiber, and help promote the growth of beneficial bacteria in the gut by providing them with a food source that helps them grow and multiply. But, they feed yeast too, so you’ll want to take these after you’ve treated the yeast overgrowth. Prebiotics are available in supplemental form – or you can up your intake of soluble fiber-rich foods like chicory root, dandelion greens, garlic, leeks, onions, white potatoes, and sweet potatoes. Leaky Gut Revive™ powder provides the nutrients necessary to help the gut repair itself by combining l-glutamine, an amino acid that rebuilds the mucosal lining of the gut, with deglycyrrhizinated licorice (DGL), aloe vera, slippery elm, and marshmallow root, which also support the gut lining. As a convenient powder, it’s easy to toss into your blender to make a gut-healing smoothie. Collagen, the raw form of gelatin, is rich in glycine and proline – two amino acids that most Americans don’t get enough of since they’re mainly found in the bones and organs of animals. Glycine and proline are not only good for your immune system, they help restore and repair the gut lining. You can take collagen in supplemental form and it’s always best to find a source from grass-fed or pasture-raised animals like the one I carry in my store. Bone broth contains a wide variety of minerals and a specific amino acid called glutamine, which can help repair the lining of the gut and restore normal gut function. For more on the benefits of bone broth and a recipe for making your own, check out this article. Because antibiotics can tax the liver, as well as the gut, it’s also a good idea to take supplements that help support the liver’s detoxification process, such as the one I carry in my store that includes milk thistle, alpha-lipoic acid, and N-Acetyl Cysteine.